The Kant Secretary by Patrick Frey and Markus Boge features - as with the rest of the Kant collection - a characteristic crease. 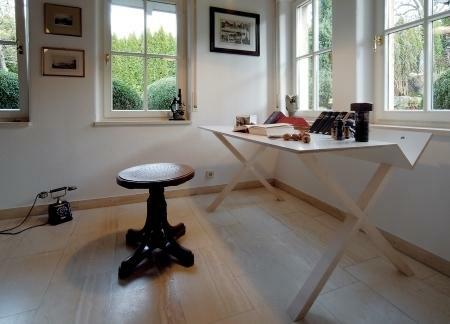 Produced by Nils Holger Moormann, the Kant Bureau has a shorter working surface than the Kant desk and is therefore perfect as an organization space in the living room; not least because the reduced Moormann table with its many right angles brings its own character and atmosphere to any space. Care FU: Light, superficial, blemishes of the untreated edges can be removed using a fine-grained sandpaper. The surface can be wiped with a soft cloth. If necessary, use lukewarm water with a small amount of detergent. Datasheet Click for more information (ca. 0,8 MB). Inspired by the motto "simple but not fatuous" Patrick Frey and Markus Boge opened their own design studio in 2006 to concentrate on designs that solve everyday problems with simple solutions. The studio may no longer exist but fortunately the results of the cooperation do including the Kant in its three variants. 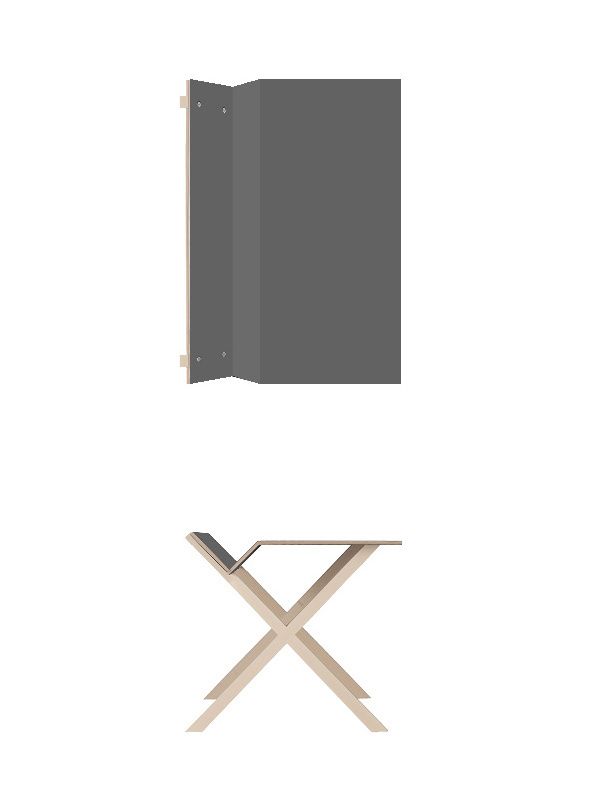 A minimalist it may be but the Moormann Kant Secretary is also highly practical matter, for all thanks to the crease on the rear edge, a functional consideration in which books, folders, catalogues et al can be optimally stored thus increasing the available workspace. Being somewhat more compact than the standard Kant the Kant Secretary is the perfect addition to any living room or hallway. 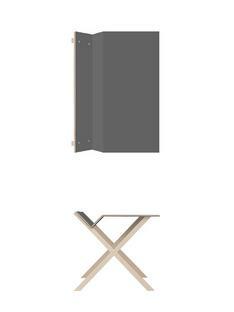 And as with all other objects in the Nils Holger Moormann collection the Kant Bureau can be simply assembled without the need for tools or technical expertise, while in addition numerous accessories such as the monitor panel make the Moormann Secretary even more practical. 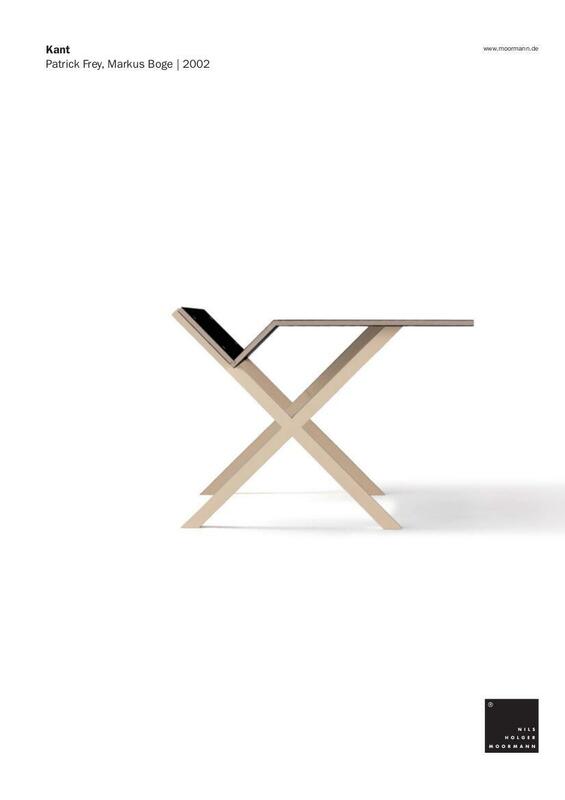 The Kant Desk is available separately.